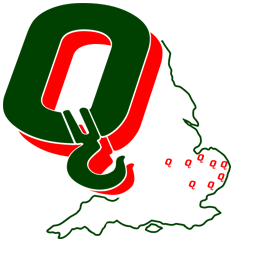 Established in 1977, Quinto Crane and Plant Hire serves the East of England, East Midlands and Greater London through our depot network managed from our centralised logistics centre. Our depot network covers The East of England, East Midlands, Greater London and beyond. Quinto has a mobile crane to serve your needs with two options for crane hire, CPA and contract lift. For your contract lift needs, our dedicated area technical representatives are on hand to plan your contract lift or simply advise on any of your crane hire requirements. And most importantly Quinto Crane & Plant is at your service 365 days a year, seven days a week, 24 hours a day. However, we are more than cranes and you can count on us for your machinery moving and transport services. If you have staff training requirements, our accredited training centre is located at our head office in Norwich. 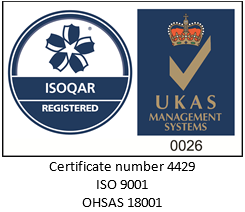 No need to travel though, we can even provide onsite training, call us for more information. Our training centre CPCS training and testing as well as NVQs to upgrade a Red CPCS card to Blue. In addition we can tailor a training package top suit your business needs. Mobile Crane Course - "All of the training was mixed with theory and practical and was always delivered with expert knowledge and enthusiasm. The course was well structured and all equipment required was provided when it was needed. The instructor was able to use real life scenarios to bring this subject alive." Just wanted to let you know the lift at British Sugar went very well yesterday, all the guys and plant turned up, on time and worked extremely well during the day. Thanks very much for your help in organising this one and please pass on my thanks to the two drivers both were very helpful. Slinger/Signaller Course - "Very well presented and very good training; instructor had a good sense of humour to make everyone feel at ease."